For some reason, I didn’t bring this with me when I moved from Blogger to WordPress. But after reading Richard Seymour‘s dismantling of the Hitchens position in The Liberal Defense Murder, I’ve decided it deserves another run out. To me, anyway, Pullman and Dawkins are in awkward company with Hitchens and Amis. The former are pugnacious but gracious, and conduct intelligent dialogues with critical theologians: Dawkins converses with the Bishop of Oxford in a spirit of friendly intellectual competition, Pullman disputes atheism on stage with the Archbishop of Canterbury, and these exchanges model good relations between the theist and atheist worlds. Dawkins and Pullman evangelise their atheism with sound arguments and vigorous example, and they are persuasive: the case they both make is that beliefs do not earn respect on account of being religious, and the fact that a stricture is supposed to derive from some specious deity does not exempt it from analysis. Decision-making is always done best on a rational assessment of the evidence, and teaching children to espouse irrationality as part of their education is a very bad thing. 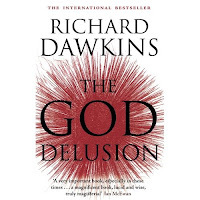 This is pretty moderate stuff, but Dawkin’s commitment to it is enough to get him labelled Darwin’s pitbull; in that case, Hitchens’ approach makes him a frothy-lipped Cerberus of godlessness. He is not exactly out to make converts. 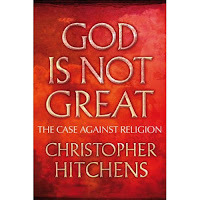 Compare his cover with Dawkins’: yes, they both go with declamatory capitals, but Dawkins’ cover has an elegant font in thoughtful white space, whereas Hitchens’ chooses something with all the aesthetic sensitivity of a John Grisham cover. If the intended reader of this book wants to go beyond disagreement with the author and try to identify the sins and deformities that animated him to write it (and I have certainly noticed that those who publicly affirm charity and compassion and forgiveness are often inclined to take this course) then he or she will not just be quarrelling with the unknowable and ineffable creator who – presumably – opted to make me this way. They will be defiling the memory of a good, sincere, simple woman, of stable and decent faith, named Miss Jean Watts. And then he wraps it all up with a tender pat on the head for his first RE teacher, which I think is meant to tell us that Hitchens is in fact a decent person beneath the bluster, but actually comes off more as the big man being patronising to one of the many, many people-less-brilliant-and-rich than himself. At the age of nine I had not even a conception of the argument from design, or of Darwinian evolution as its rival, or of the relationship between photosynthesis and chlorophyll. The secrets of the genome were as hidden from me as they were, at that time, to everyone else. I had not then visited scenes of nature where almost everything was hideously indifferent or hostile to human life, if not life itself. I simply knew, almost as if I had privileged access to a higher authority, that my teacher had managed to get everything wrong in just two sentences. The eyes were adjusted to nature, and not the other way around. Oh young Hitchens, how wise you were to simply know – and while there is an almost-witty parody here at the moment of divine inspiration from which spiritual biographies tend to embark, I suspect that the lack of humility is absolutely genuine. Here are some other things a nine-year-old child might “simply know”: bogies are good to eat and a joy to flick, Ben 10 is brilliant, and nobody else in the world is as important as you are. Perhaps the intellectual health of the nation could be ensured by encouraging small children to horde up their first intuitions, and then at a later date, splurge out whole reams of experience which has confirmed them. Even if Hitchens is correct (and given that adaptation has been resoundingly proven, he is), this is a pretty tawdry way of making his point. Edited to change title (see comments for explanation). Off the subject but on the title. I’m not happy with your use of “fat” as an insult, particularly coupled with “idiot”. I don’t see how it relates to the article, nor how it supports your argument. People equate fatness with stupidity and as a non stupid fat person I resent thoughtless couplings such as this. I’m a fat, deaf, middle aged woman which is a bad combination if you want to be credited with some level of intelligence. Please try not to perpetuate these myths. which tweaks right-wing commentators on their resort to ad-homs. But because you’re obviously right, and much more important than a silly bit of point-scoring, the title will change. Thanks Sarah, you are a gracious woman. I see now I should not have accused you of thoughtlessness. Are you seriously calling Hitchens an idiot because you don’t like the front cover of his book, because you think Hitchens is wrong to say that the religious shouldn’t call him a sinner etc, and because you think he is arrogant to state what he believed at age nine. Just because he states that he just knew the teacher was wrong at age nine, doesn’t mean he is being arrogant. It is simply stating that he thought the teacher was wrong when he was nine, as in fact most children do when confronted with authority. He is not stating that he was right to think the teacher was wrong, because while he got the correct answer, as he states, “At the age of nine I had not even a conception of the argument from design, or of Darwinian evolution”. He’s saying he didn’t know the evidence against the teacher, but he believed the teacher was wrong. That is all. It is hard to conclude from that, that a child who thinks his teacher is wrong is “arrogant”, as lots of children think that. It is even harder to conclude from that, that the adult Hitchens is arrogant, because he is simply stating what he thought back then, not whether he was right in doing so. I’m saying that the tone of the book is belligerent and intellectually dishonest, and the design reflects that accurately. He interpolates a cartoonish version of religion into the text in order to parody opposing points of view before that can be stated. That’s not considered writing designed to win converts, it’s an aggressive tactic designed to engender animosity. and because you think he is arrogant to state what he believed at age nine. I think he’s arrogant to use what he says he thought at the age of nine as part of a case against belief. 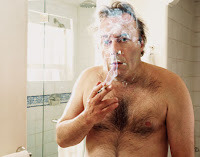 It’s irrelevant, except to the portrayal of Hitchens as a heroic unbeliever with native insight. Hmm. If you read and compare Hitchens’ book with Dawkins’, though, Richard’s is by far the more strident and angry. It’s a diatribe. Hitchens’ book sets out a generally fair argument. He can be a bit verbose at times and (haha) does not ‘eschew unnecessary obfuscation’, but these examples … well, I’m 17, not massively well-read at all, and they’re hardly difficult words, or words you would not expect to see. Generally a fair argument? How religion poisons everything? It’s obviously not fair – the puppetry and ad hom he indulges in are very poor form for reasonable argument. It’s not the difficulty of the words I was gunning for. It’s the redundancy, and the stacking up of alliteration. He’s all grunt and no thrust. Interesting piece: however, if you don’t mind, I would like to add my little on the basis of my interest in the History of Science, since it seems to me rather odd to say the least that no-one does enough to relate this all to the original war of ideas between religion and science in the 1860s. In fact, several evolutionary figures tried to reconcile the idea of atheism with the sort of wholeness we derive from relgion in the 1800s. Herbert Spencer was one example – though his ethics might not have been cute. Even Darwin’s bulldog Huxley thought we might be ethical about evolution, so it did not mean leaving our humanity behind. I like your style – I’ve got a deserted thesis on George Eliot covering similar ground. Having just read your account of your earlier experiences of your academic career, sorry if I put my foot in it there … but be assured, it’s pretty tough all over academia. The number of people I know who cannot find work but have published books and articles is a real joke … I hope you do your research later, because I’d say to anyone the best way to do a PhD is at your own leisure, without the pressure of being subjected to research plans etc..
No worries, and thank-you. Like I said in that post, I’ve never been totally starry-eyed about what academia is (many of my friends still work in it) and I’m *much* happier as a freelancer than I would be as a tenuously-employed junior researcher commuting huge distances to teach huge groups of undergrads. Thanks for that (I really thought I’d really stomped it in there!!). As someone who has been exactly that type of tenuously employed researcher for few years now (and who knows exactly the pitfalls of travelling the globe to teach undergrads, I can only applaud your happy state of being. You have no idea of the allure that a nice safe job has for me right now!! In fact, having used so much energy in publishing over the last few years, I no longer have the drive to go to interviews and be poked and prodded!! But, as I say, I hope you return to your thesis later. Meanwhile, though, I congratulate you on your writing style.